Antoine Meillet was one of the most influential French linguists of the early twentieth century. He made important contributions to Armenian Studies, particularly in the linguistic field, but also was well acquainted with other areas of Armenian culture. Meillet was born in Moulins on November 11, 1866. He studied at the Sorbonne from 1885-1889, where he was a disciple of Ferdinand de Saussure, the pioneer of semiotics, and Michel Breal. He was appointed professor of comparative linguistics of Indo-European languages at the École Pratique des Hautes Etudes until 1931. One of his students was Hrachia Adjarian, the foremost name of Armenian linguistics in the twentieth century. He completed his doctoral dissertation in 1897. In 1905 he was elected to the Collège de France, where he taught comparative and general linguistics until his death. He was the mentor of a generation of linguists and philologists, among them names related to Armenian Studies like Émile Benveniste and Georges Dumézil. His approach, quite novel for his time, took into account historical grammar, philological evidence, and facts of cultural history such as language contacts and sociolinguistic influences. He covered nearly all branches of the Indo-European family in his enormous output of about two dozen books, more than 500 articles, and many book reviews. In 1903 he published his most important work, Introduction à l’étude comparative des langues indo-européennes (Introduction to the Comparative Study of the Indo-European Languages), which explained the relationships of Indo-European languages to one another and to the parent Indo-European tongue. 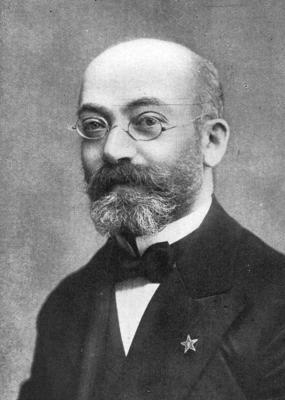 Meillet became engaged in learning the Armenian language and in elucidating its origin from the beginning of his studies. He studied Modern Armenian with Auguste Carrière, then the holder of the Armenian chair at the Ecole des Langues Vivantes (now the Institute Nationale des Langues et Civilisations Orientales, INALCO). He went to Vienna and studied Classical Armenian at the Mekhitarist Congregation from 1890-1891. As member of a research group in the Caucasus, in 1891 he visited Armenia and researched the manuscripts at the library of the monastery of Holy Etchmiadzin. He went back in 1903, while he was the holder of the Armenian chair (1902-1905). He was well acquainted with the ancient literary tradition of Armenian, as well as with its philological aspects. He dealt with textual problems of Armenian manuscripts, not least with the problems of the spelling in several ancient manuscripts of the Armenian Gospels and with the study of particular passages in works of Armenian authors. In a great number of articles, Meillet treated various problems of Armenian etymology and historical phonology and morphology. The fact that he is still considered one of the founders of comparative studies of the Armenian language is primarily the result of his pioneering work on Armenian syntax, which had been more or less ignored by all Armenian linguists before him. The result of all his studies was distilled in two monographs: his authoritative Esquisse de la grammaire comparée de l’arménien classique (Outline of a Comparative Grammar of Classical Armenian, 1902), a fundamental historical phonology and morphology of the language, and a short introductory description of Armenian in his Altarmenisches Elementarbuch (Elementary Course of Old Armenian, 1913), with some emphasis on syntax. Meillet also devoted several minor studies to the influence of Iranian on Armenian vocabulary. An engaged scholar and citizen, Meillet raised his voice in 1903-1905 against the confiscation of the properties of the Armenian Church in the Russian Empire and in 1915-1918, in the years of the Armenian Genocide. In 1919 he founded the Society of Armenian Studies with Frederic Macler and others, and was instrumental in the launching of the oldest Armenian Studies journal in Western languages, the Revue des études arméniennes, in 1920. A year later, he founded the Revue des études slaves. Meillet’s scholarly merits were acknowledged with the French Legion of Honor. He was appointed member of the Académie des Inscriptions et Belles-Lettres in 1924 and elected as member of more than a dozen foreign academies of sciences. He received honorary doctorates from the universities of Berlin, Padua, Dublin, Oxford, and Brussels. The great French linguist passed away on September 21, 1936, in Châteaumeillant, France.